The interesting part is the part that you do not see. Dark lanes in a dense field of stars… with some bright stars illumination blue reflection nebulae. 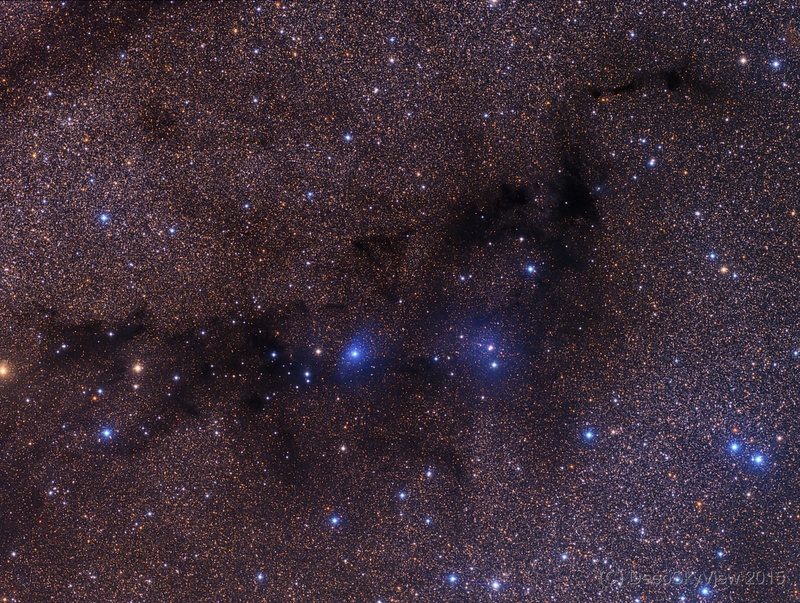 The dark nebulae are LDN 767,768,769,… and the faint blue reflection nebulae in the foreground are VDB 126, LBN 134. This image is a LRGB composite with a total of 70 subs of 600 sec each. Data taken at the Deep Sky West Observatory.